The relationship between man and nature is a less than an harmonious relationship, the future desired by man in conflict with the course nature is pursuing. 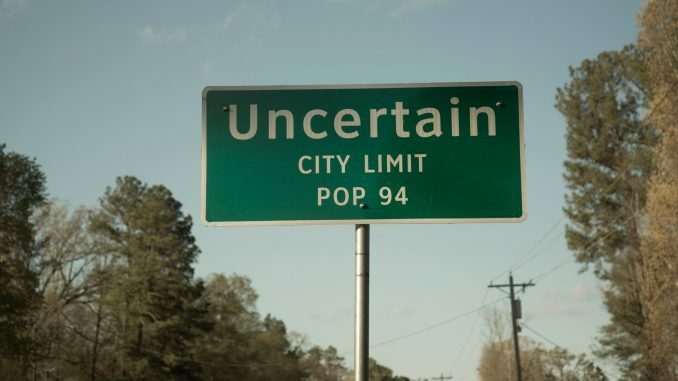 This is an idea at the heart of Anna Sandilands and Ewan McNicol’s documentary Uncertain (2015), which follows the life’s of three uncertain men in the sparsely populated town of Uncertain, USA. 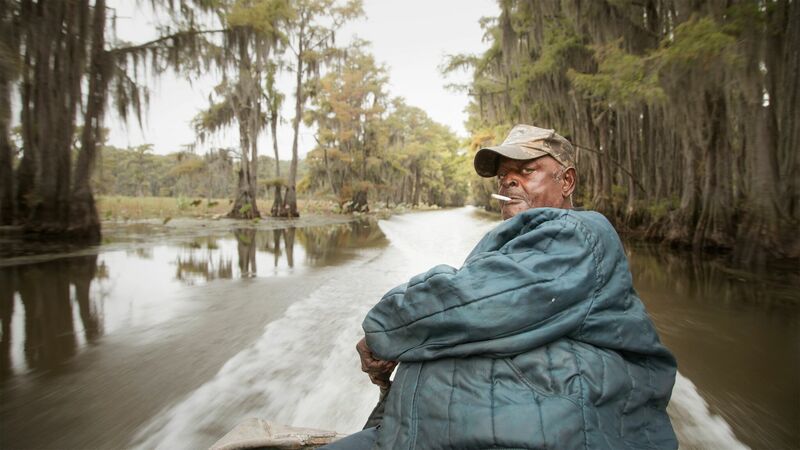 A simple yet powerful, even evocative piece of documentary filmmaking, the swamp’s decline as an ecosystem lyrically contrasts with the lives of the three men, Henry, Wayne and Jack. Sandilands and McNicol’s film is a meditation on the ontology of conscious humanity and unconscious nature, and how the fate of the two are interlocked. In conversation with Film Frame the two directors reflected on the place of documentary in the contemporary world and the everyday as a stimulus for the reception of an individual film. They also discussed the subjectivity of the documentary filmmaking process and the role of objectivity, as well as taking the time to reflect on the transformative experience of their encountering with Uncertain and its inhabitants. Film Frame: Cinema has the strength of presence to counter the perspective of the world cultivated by the mainstream news media. How do you see the role of documentary in 2017? Anna Sandilands: Well I’d start by saying that I don’t know that our perspective on the role of documentary has changed between 2016 and 2017, in that we’ve always wanted to make films that are character driven and are about a person, a place and a time. We do not go into making our films with an agenda or a preconceived notion of where we are going to end up. Part of that for us is if you have a preconceived notion or you have an agenda, then you’re already at the end of the process in many ways. For us this is really about wanting to be as open handed and as open minded as we can be. Then we have to come to a place, to meetings or to people without any real notions of where we might end up. And that was very much the case for us with Uncertain. Of course we now realise that when you look at this place and these people through the digital lens of this somewhat seismic shift in our culture today – particularly in the United States, but around the world – there is obviously another filter with which to see this story. For us that’s really important because the film can illuminate in different ways, and reflect some hidden perspectives and points of view from far corners of the country that don’t always have a voice. Ewan McNicol: I also think that with the shifting political landscape there has become this very polarised media. People are living in their own echo chambers, hearing what they want to hear with people they talk to on social media, and especially in the U.S the news outlets that have the same perspective as them. We haven’t gone into our film with a political point of view or to make a political statement. We hope that a film like ours can give the insight of a window onto a part of the world, and the people that have perhaps been marginalised in some way that have not been heard. As Anna just said there, a bipartisan view. So I think even we did not go into it to make a film that would have a political point of view, what has gone on in politics has created an extra resonance for our film. Film Frame: I believe a film in spite of being in a permanent form is impermanent. Our response can differ each time we watch a film based on our current mindset and the memories it stimulates. On your point about the way in which life has shaped the way the film will resonate with an audience, do you perceive life itself as a silent collaborator? McNicol: Well I love that idea that a film is not ever finished. Sandilands: We were discussing this yesterday and we feel this way about Uncertain – it’s a film that’s unfinished because it will always be looked at again anew through a changing perspective of society. For us it is one of the reasons why we try to stay away from very agenda driven or almost thesis driven type stories, because they do tend to be locked down, and they can only prove the point they are setting out to prove. When you take a more open handed approach like we did with Uncertain, the film can remain fluid and alive over time, and that’s really important to us. In terms of life being a collaboration, I think that’s incredibly true and it’s certainly true in documentary that the characters and the place you are capturing are your collaborators, one hundred per cent. And it is not us observing them, but it is in many ways a mutual interplay between ourselves and the characters, and the place we are at. When people ask, “Why did you get into documentary?” I always say, “For very selfish reasons.” I can’t imagine a better way to spend my time and my life than following my curiosity about the people that are around us. So I suppose in that way too it’s very much a collaborative view of what life is. Film Frame: The purist opinion of documentary as objective is built on a faulty premise. From the subjective choices of the filmmakers that bleed into the film, to the subjectivity of the subjects, it is not purely objective. Hence, it calls into question the traditional dividing line of the objectivity of documentary and the subjectivity of narrative fiction. In documentary filmmaking is it the pursuit of objectivity in subjectivity or striking an harmonic balance between the two? McNicol: It is an entirely subjective process and I never thought of it as a subjective one. I think you’re right that there are purists that talk about methodology that can achieve a more objective piece of work or representation. But it is a representation and in representing someone you are making massive subjective decisions. There is this experience of putting yourself in a place with the people you are filming, to which there’s no doubt that always effects the reality, and then changes over time. People act a certain way when you first arrive and six months later they are acting differently. Then a year later there’s even more understanding of what you’re doing. So we see documentary filmmaking as filmmaking, and we see it as being just as subjective as traditional filmmaking. But I’d agree with you that there is this balance. You have to find a balance where the subjectivity creates a representation of these real people that is as fair and as objective as possible. It is a very strange muddy area of making a documentary film. Sandilands: Very peculiar, but very enchanting. Film Frame: As a study of change, Uncertain looks to an emphasis on the present over the past, the difficult process of change and making the American Dream work for the individual. Meanwhile Lewis’ character represents a stagnation, the latter stages of life where the opportunity for change diminishes. Through these three characters you portray how change is defined in part by our situation, but also our age. McNicol: You picked up on quite an important thing for us making the film. When after months of filming we were still relevantly uncertain what the film was going to become, led by each of these men’s stories and the town, we realised that they were three uncertain men at three stages of their lives. Henry the elderly fisherman very much represented the past and the history. Then there’s Wayne the hog hunter, who for us felt like the present and then there’s Jack the young man who seemed to represent the future, or its potential. I think that became very central as to how we pulled their stories together. Sandilands: I think that the process of having made this film has changed all three men once again. Henry has never really forgiven himself, which is clear at the end of the film. But he’s still living in the same community with family of the man he shot. He has told us that he has the guts to start to forgive himself since making the film and seeing his story reflected back at him. And the surviving family members have told him that they have forgiven him, so there has been this other revolution of change in their lives. They come to the screenings with us and we took them to the screening at Tribeca, which was the first chance for Wayne to have his story told publicly. He was flooded with people who wanted to talk with him about his journey of recovery, and for Wayne that has elevated once again what it means to forgive yourself and to move forward on this path of sobriety. Instead of being somebody that’s just sort of moving around, he’s seen as somebody who is succeeding and that has changed a lot for him. Then for Jack, he has seen a lot of love from total strangers and for somebody who feels quite isolated in the film, and in his story, I think it’s fair to say he feels less isolated. He feels more surrounded by a community now that understands him, as well as total strangers that feel they understand him. Film Frame: The swamp is an image of change – its fate seemingly one that will see it unable to support an ecosystem. We’ve spoken about these three men in different phases of their lives, but the swamp serves to also connect man and nature. McNicol: When we first arrived we were amazed how much closer people live to the land and to their reliance on nature. At first the way in which animals were killed and eaten seemed brutal to us – it felt very different. The whole community is a lot more reliant on nature than I think other communities are, and so that became very important for the film and their stories. In the process of filming we realised the cycle of nature and these men’s stories, the past, the present and the future would potentially repeat themselves. Nature like with the weed, which would fluctuate, would go to the stream where nearly the whole lake is covered, and then there would be a storm and a flood, and a lot of it would wash away. So there was this cyclic nature and ultimately there is a final frame in the film where the one character says that he would like some people to see the Weevils as a positive image. But for us there was this sense that whatever man does, nature will find its own balance and will just continue. So in some ways that was reassuring for us that nature will always come back and find its way. Sandilands: We treated the lake as its own character in the film and we got time to film it in the same way that we got time with the characters. But along with that, we also wanted to capture as much of the natural world. So the kinds of things that you come across when you’re out at night with Wayne hunting you will not see when you live in the cities, because they will only come out when we’re away. 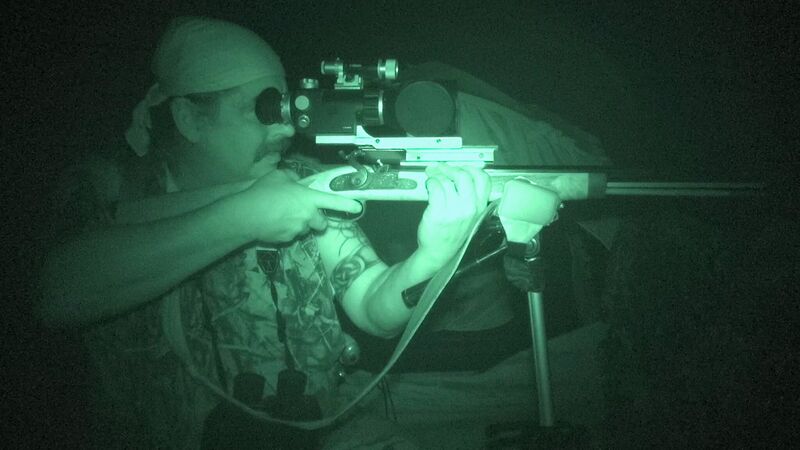 So we were able to capture all of these images on the hunting cameras and we wanted to weave man and nature in with each other to make sure that if you couldn’t live in Uncertain, you could be immersed in and spend time in the natural world. It’s a reminder to all of us how inextricably linked we are, even though again, if you are living somewhere in the city you can forget that. But it’s obviously critical to who we are, and so to Ewan’s point that we have this responsibility as human beings to remember that we are inextricably linked, and that balance can shift so easily. Man can shift the balance of nature, but unfortunately only nature can work to bring that balance back. Sandilands: Absolutely, I think Ewan and I would both say that we were thoroughly changed by having this experience. Again it is the reason for me to be a documentary filmmaker because you have that opportunity to be entirely changed by the people you spend time with, and the process of making a film. It is slightly different to what you’re asking, but as we looked at these people who have become our friends, some of whom we are ideologically worlds apart from, as we have these massive societal changes since this last election, it actually makes absolutely no difference whatsoever to our friendship. And for me personally it has been a really big lesson, in that it is important to know people truly and purely for who they are, and to set aside these external contexts of who we think we are supposed to be, and who we are supposed to represent to each other. So it’s about looking at things in the larger political view. Going back to your very first question about how the role of documentary has changed, there’s reason now more than ever to spend time with each other in this kind of storytelling, in a way that is not agenda driven or is not pushing a point of view. When you can look at each other more purely, more innocently in an unfettered way, then we could potentially stop pushing and pulling each other apart. Uncertain was released theatrically in the U.S on March 9 2017 at the MoMA and IFP Made in NY Media Centre, followed by a limited theatrical release nationwide. It is now available on iTunes and VOD.